Listen to the softness. Feel the gentle voice of your favorites. Penetrate in depth! Wild-U in-ear headphone is the elegant product that people are pursing for. We love its graceful design, fluent concept and perfect configurations. It holds a strong fascination that you will fall in love with it at the first sight. Put on Wild-U, and hear the whisper of it! Excellent body integrity with light weight. Imaging the sunlight around you. Flying the feather in the sky. Resting in the comfortable space. Wild-U will lead you into the moments! Marvelous sound effects produced out of Wild-U! 3rd generation of balance damping system provides you with fascinating melody with ease and fluency. The updated holes application on the resonant chamber steadily controls the air into the equipment to guarantee the purity and delicacy of the sound. Let the music go through your earphone and experience the freedom in the musical world. Wild-U is dedicated in every detail of the item. The wire inside has no exception. It is covered with copper line and completed with durable paint material and Kevlar fiber which is usually applied on the bulletproof vest. 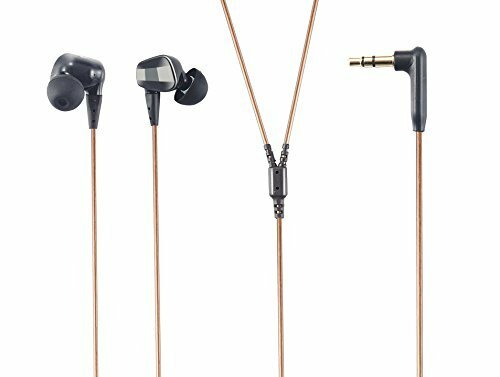 The army-grade of headphone lines comes out to be tensile tolerance, durable lifespan and comfortable settings.